John Dolic specializes in teaching Qigong as a part of Traditional Chinese Medicine. He was born in Yugoslavia, and grew up in what is now Bosnia. In 1979 went to China where he became the first westerner to complete a six year full-time course in Chinese Medicine and be awarded a degree from Beijing University of Traditional Chinese Medicine. See www.qigongchinesehealth.com/about . In 1995 in Sydney, Australia, John Dolic founded Qigong Chinese Health, which currently offers Chinese medical counseling, twenty Qigong styles, acupressure, massage, Tai Chi, Kung Fu, Daoism, health supplements, and more. His webpage Qigong chinesehealth.com contains articles about Qigong: what it is, its benefits, and techniques. Also information about his DVDs, CDs, and his book Qigong Demystified, as well as past copies of his magazine. Also on that site is further information about workshops, classes and seminars (some of which are free) and health retreats in Sydney, other parts of Australia as well as in China and elsewhere. 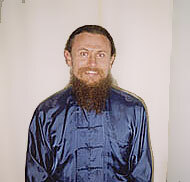 For links to his Qigong tuitions (he offers online instruction in thirteen areas) see http://www.qigongchinesehealth.com/onlinetuition .